Away from Diamond League action in Doha, the IAAF World Race Walking Team Championships in Rome, the Prague Marathon and top meetings including the Jamaica International Invitational, there were still plenty of other action over this past weekend. 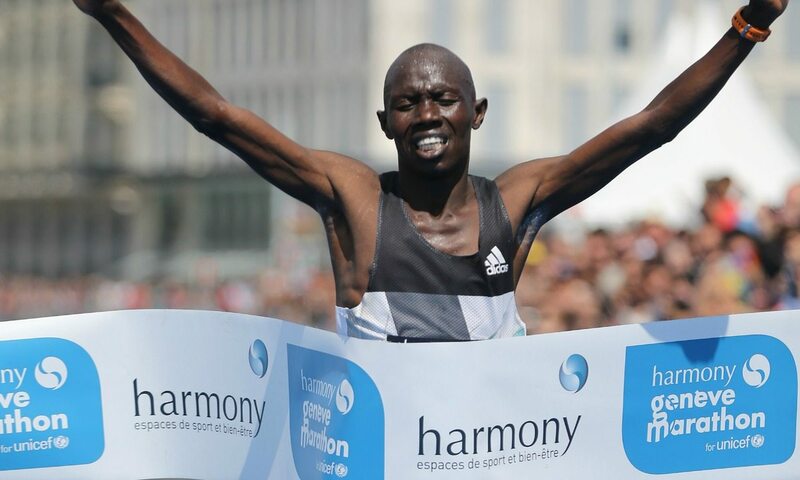 Julius Chepkwony and Jane Kiptoo made it a second consecutive Kenyan double at the Harmony Geneva Marathon for Unicef, which was taking place for the first time as an IAAF Bronze Label race. Racing on the hottest day of the year so far, with temperatures reaching 20 degrees Celsius by the end of the 26.2 mile event, 2015 Venice Marathon winner Chepkwony clocked 2:11:11 to miss the course record by just 11 seconds, while Kiptoo successfully defended her Geneva title with a time of 2:35:04. Emmanuel Sikuku was the men’s runner-up in 2:12:44, while Ronny Kiboss completed a Kenyan clean sweep of the top three places with his time of 2:14:53. The women’s race was closer, with Hellen Jepkurgat 12 seconds behind her compatriot Kiptoo, while Ethiopia’s Roze Dereje was third in 2:36:55. The Geneva Marathon weekend offered a total of eight events, including junior races, with 16,000 participants taking part across the series of races. The half-marathon was won by Ethiopia’s Temesgen Daba (65:57) and Switzerland’s Elise Chabbey (84:52), while another home athlete Olivier Godinat was first in the handbike/wheelchair half-marathon. The evening before, Switzerland’s Joseph Bago won the 10km in 33:26, while British runner Victoria Crawford of Serpentine RC claimed victory in the women’s event in 39:06 to go one better than her runner-up place from the year before. The women’s-only 6.5km La Genevoise was won by France’s Olga Mallet. GB cross-country international Maddie Murray broke the course record at Silverknowes, while Mark Mitchell won his first road race title to add to others in track and cross country. Steph Pennycook and Jonny Glen picked up under-20 titles once again and it was a busy night for Pennycook as she also claimed a team bronze for the senior women and team gold for the under-20 women. The masters titles were won by Garscube’s Lesley Chisholm and Kerry-Liam Wilson of Ronhill Cambuslang. Mohammed Abu-Rezeq won the men’s race in 67:16 while Hannah Oldroyd won the women’s race in 83:07. Further details plus Harry Shakeshaft’s photographs will appear in the next AW magazine. Darren Deed won easily in 24:49. Rachel Humphries won the women’s race in 30:38. Further details in this week’s magazine. Theo Campbell won the men’s 400m in 46.24 from Irish record-holder David Gillick. Gillick is returning from injury and a three year retirement which included a win on Irish Masterchef. Ciara Mageean won the women’s 3000m in 9:07.47. A fuller report and photographs from the event will appear in this week’s AW magazine. Max Eaves won the pole vault with 5.57m ahead of Adam Hague and Luke Cutts with 5.30m. Rabah Yousif clocked 46.24to win the 400m. Scott Lincoln threw a 18.99m PB to win the shot, while Dan Bramble won the long jump with 7.66m (+0.6). Newly-promoted Thames Valley Harriers easily won on their return. They had five individual A-string victories including James Potton-Burrell winning the hammer. Further details will appear in the next magazine. Hosts Cardiff won easily from Swansea. Jack Green’s 49.87 400m hurdles and Alex Yee’s 8:05.83 3000m were the best individual results. Further information will be available in this week’s AW. Chijindu Ujah gained a great sprint double as he won the men’s 100m in 10.19 and the 200m in 20.48. Ashleigh Nelson’s 100m win in 11.44 into a strong headwind and Bianca Williams’ 200m victory in 23.51 were the pick of the women’s races. Further details will appear in the next AW magazine. Jade Jones won five races over 200m, 400m, 800m, 1500m and 5000m. Richard Chiassaro clocked a PB of 47.39 in the T54 400m ahead of David Weir with 48.09. Chiassaro also won the 100m final with 14.84 to Weir’s 15.27. Hannah Cockroft clocked 17:53 (+0.5) in the 100m heats before 18.22 into a headwind (-2.7) in the final.